1137 - 1137 - Shipmodul MiniPlex-3Wi-N2K for only $410.95 ! 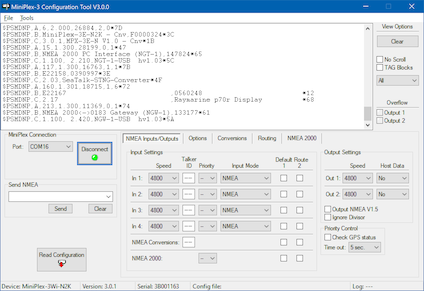 TCP/IP and UDP, port 10110 for NMEA 0183 data. TCP/IP, port 10110 for firmware updates. TCP/IP and UDP, port 30718 for network configuration. ARP, ICMP and DHCP for network management.